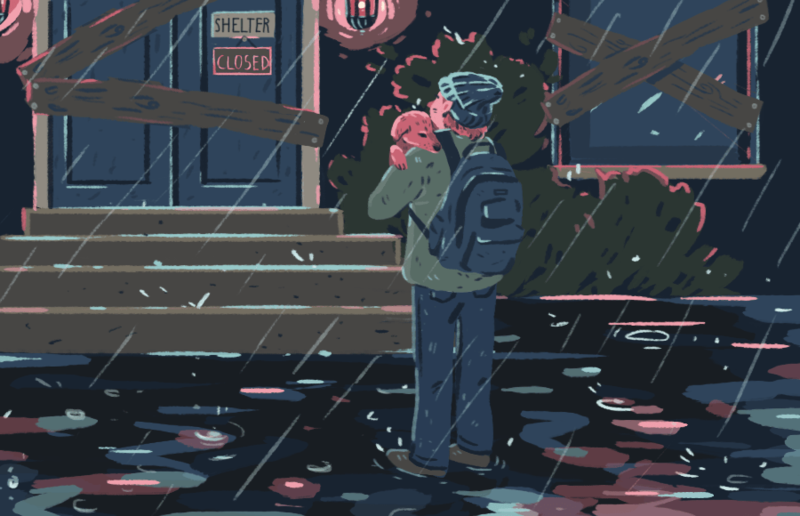 CITY AFFAIRS: The city still hasn’t decided on its new permanent emergency shelter location, once again letting down hundreds of its homeless residents. In December 2017, the city of Berkeley was woefully unprepared to shelter its growing homeless population. And nearly a year later, it finds itself in almost exactly the same situation. On Aug. 31, the Emergency Storm Shelter closed its doors to hundreds of homeless community members. In its place, the city is using the North Berkeley Senior Center until Sept. 15, followed by Frances Albrier Community Center until the end of the month. But after that, the fate of the emergency shelter is uncertain, leaving some of Berkeley’s most vulnerable community members back out on the streets. For far too long, the city has been debating a permanent location for the emergency shelter. This decision can’t be put off any longer — Berkeley owes security to a community that’s already facing so much instability. During the 2016 election, many city officials claimed that homelessness was their top priority. But time and time again, they’ve failed to show that this is the case. In fact, they’ve disbanded homeless encampments and debated a regressive and arbitrary sidewalk ordinance — both of which are counterproductive to their campaign promises. Even the city’s communication with the public about the new shelter locations has been poor. As of press time, the city website is still not up to date on the new shelter — it doesn’t mention any of the new locations. Instead, this change has mainly been announced via a tweet from Mayor Jesse Arreguín. How are members of the homeless community supposed to know where to go in emergency situations if they don’t have access to this information on a centralized website? The city has a total of 209 permanent shelter beds, according to Kelly Wallace, the interim director of the health, housing and community services department. But that’s merely a fraction of what the homeless community needs. There are nearly 1,000 homeless people in Berkeley, and the city fails to provide beds for more than 75 percent of them. Ultimately, for the homeless community, a single temporary emergency shelter is not enough. The shelter is typically only open during winter months and inclement weather — and it doesn’t even provide basic needs services, such as showers and laundry. Berkeley is a city in crisis, and these Band-Aid solutions aren’t coming close to fixing the problem. To the city officials who campaigned on addressing homelessness: You owe it to your constituents to stop using empty rhetoric and fulfill your promises. Every day that you delay is another night on the streets for hundreds of Berkeley residents. It’s time for you to act.